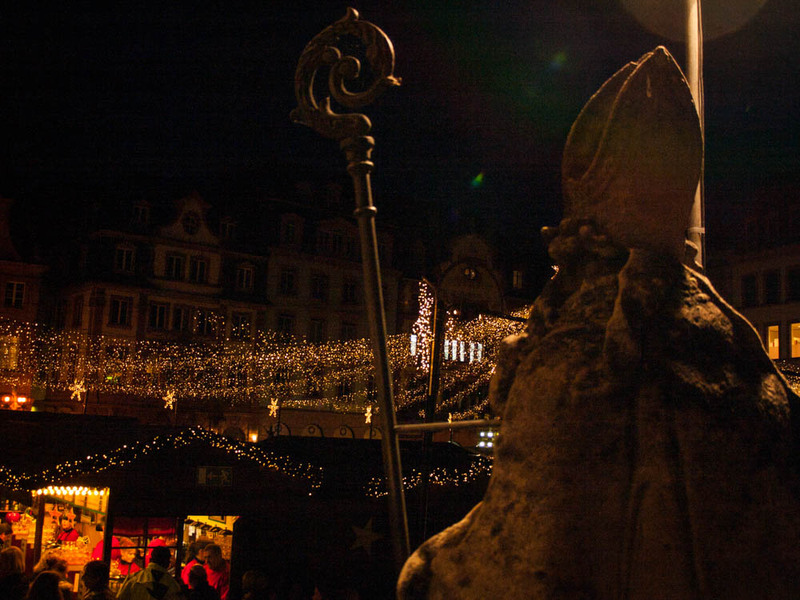 St. Bonifatius watches over the Christmas Market in Mainz. 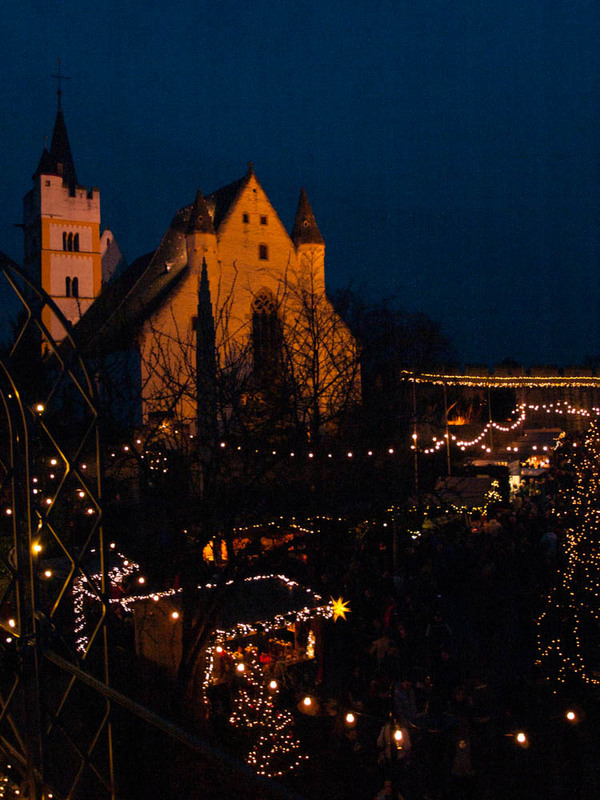 December 23, 2015 For such a unapologetically secular country, Germany does Christmas like nobody’s business. 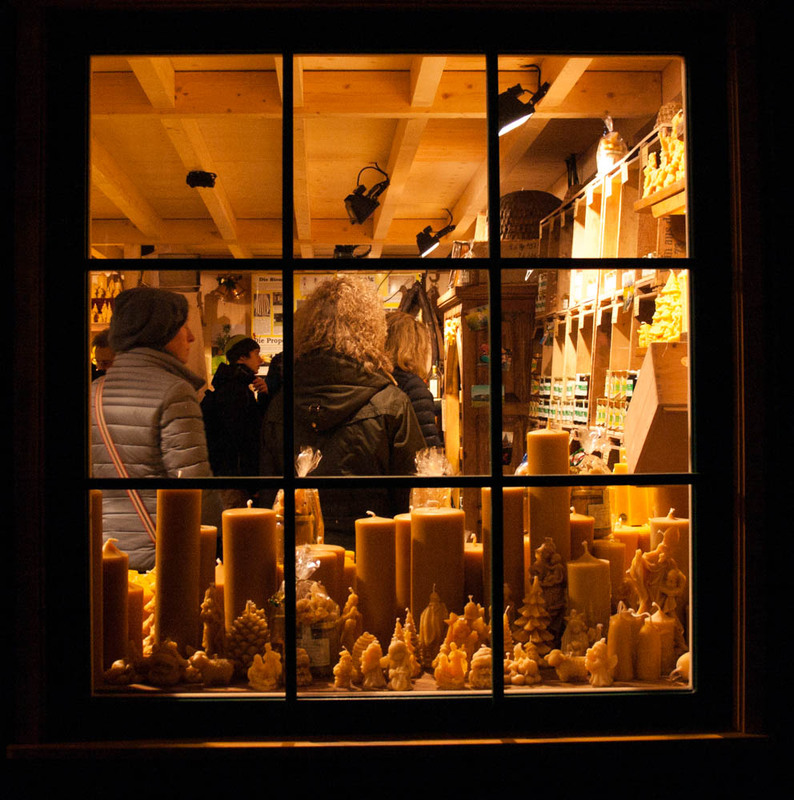 Here, Christmas is not just a day in December preceded by weeks of materialism and bad music on the radio, but rather a real season, full of ritual and traditions that transcend packed department stores and Santa kitsch imported from America. Christmas day (the 24th in Germany, not the 25th) is the final tiny door on the advent calendar, the last mug of Glühwein, a simple plate of potato salad and sausage because the lady of the house doesn’t have to cook. Weihnachten, halt. The Market in Ingelheim, in the ruins of an 800-year-old church. 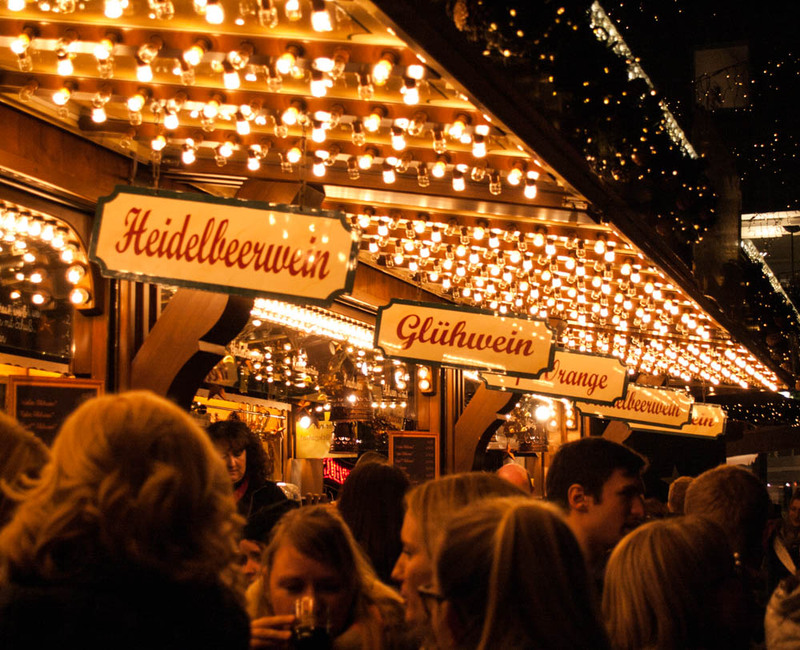 At the center of Christmas in Germany are the Weihnachtsmärkte, the Christmas Markets, opened all day every day starting the beginning of Advent. 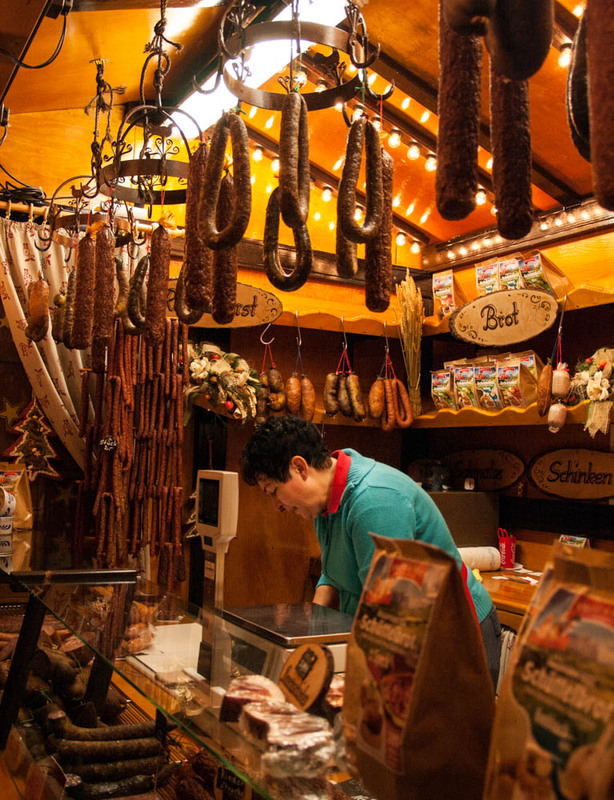 Almost every town has one, small or large–a few stands in the local Dorf, an entire village in Frankfurt or Nürnberg. 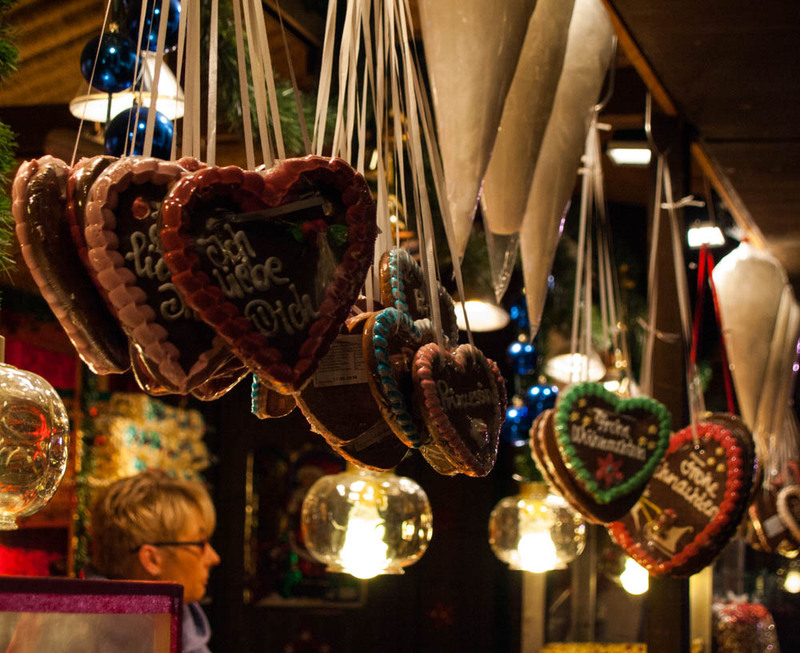 The Weihnachtsmärkte are not universally loved. Many Germans have to get a certain amount of complaining/general grumping out of their systems on the topic: It’s a lot of standing around in the cold…too commercialized nowadays…cheap alcohol and sugar. 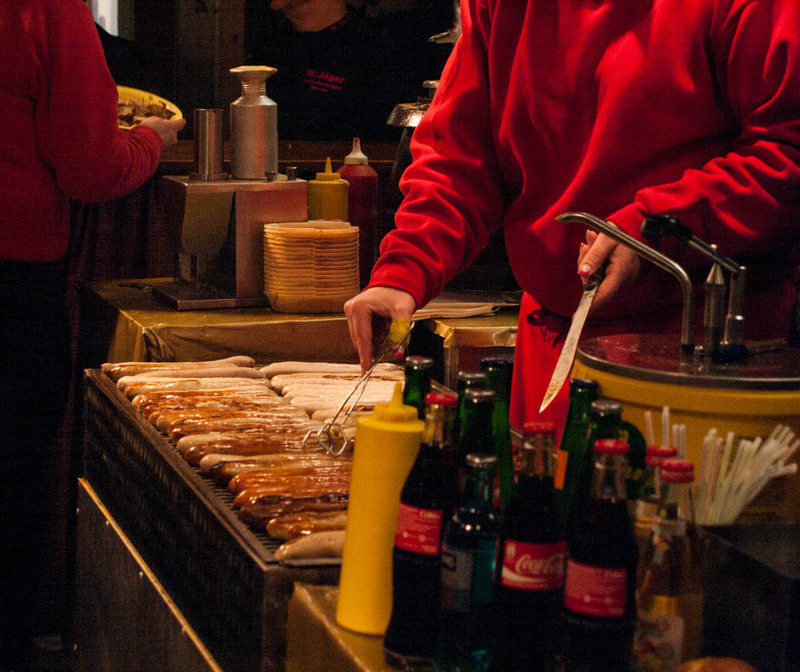 But somehow, everyone ends up in front of their favorite Glühwein stand anyway, tipsy and eating Bratwurst and generally having a marvelous time. And not just once. The translation company where I work had not one but two Christmas get-togethers at the Mainzer Weihnachtsmarkt within the space of two weeks. 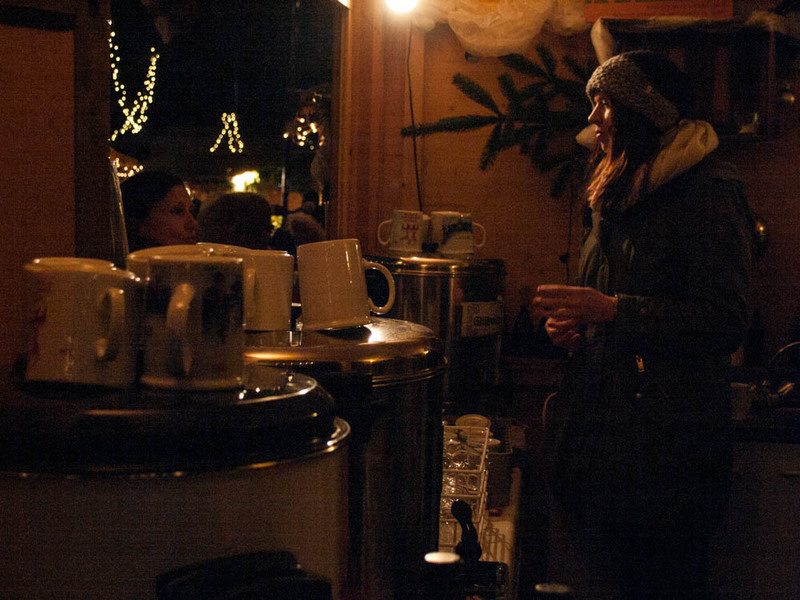 Glühwein–hot mulled wine drunk from mugs–stands at the center of Weihnachtsmarkt cuisine. 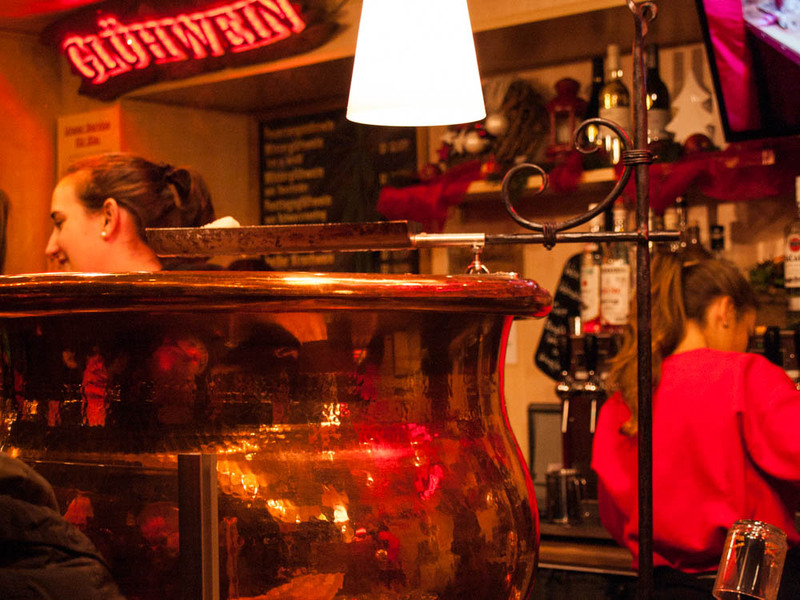 If Glühwein isn’t enough, there’s always Feuerzangenbowle: mulled wine with the addition of a rum-soaked, flaming sugarloaf. Bam. And of course there’s meat. 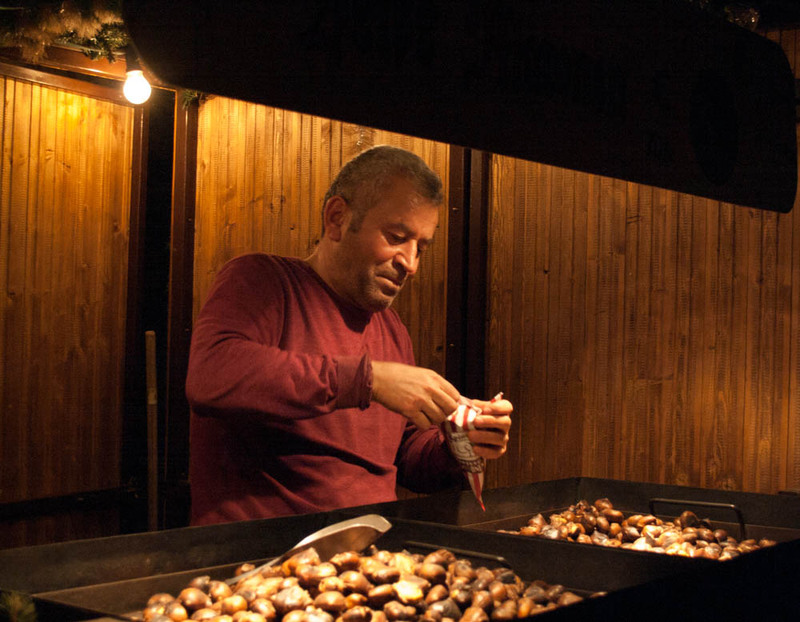 …not to mention Reibekuchen (fried potato pancakes), Flammkuchen (thin-crust French pizza), Dinele (wood-fired flat bread), Stollen (like fruit cake only 1000% better), hot potato soup, candied almonds, chocolate-covered fruit, and Crepes with Nutella. 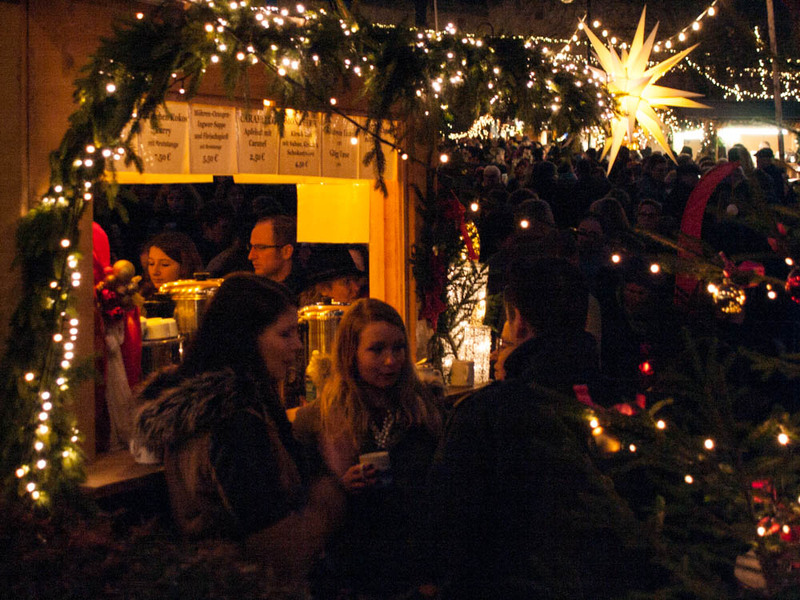 During the Christmas season in Germany, the Weihnachtsmarkt is pretty much the place to be. Like Emily Abroad on Facebook! This entry was tagged Christmas, Deutschland, Emily Goodling, food, Germany, Glühwein, holiday, Ingelheim, Mainz, mulled wine, photography, Weihnachten, Weihnachtsmarkt, wine. Bookmark the permalink. 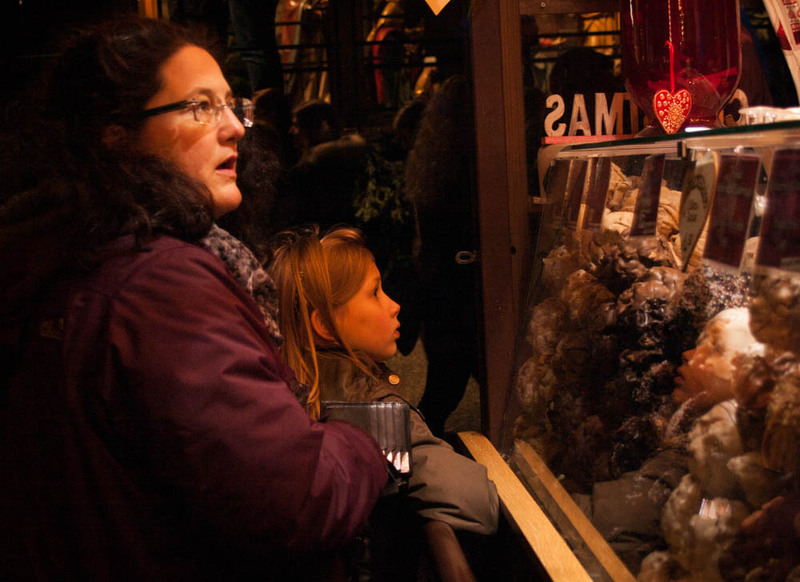 Thank you Ms. Em for sharing this year’s Weihnachtsmarkt! Lovely!